The Best Time Of Year To Buy An RV Travel Trailer (Tips You NEED To Know)! Don’t Make The Same Mistake Others Do! Luckily For You We’ve Put Together An Easy Expert Step-by-Step Guide On Everything You NEED To Know On The Best Time Of Year To Buy A Travel Trailer/RV In Order To Avoid Future Problems For You & Your Future RV. How To Buy A RV Travel Trailer Like A Expert! 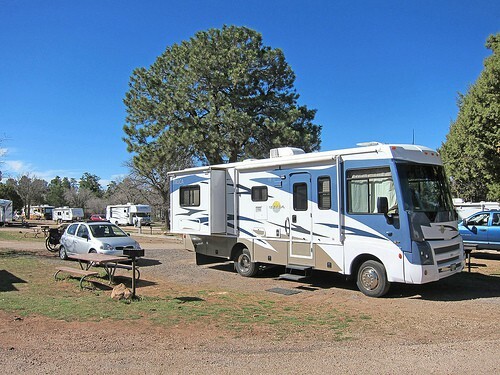 Buying an RV is a big investment so before you even start visiting dealers or looking at the for sale notices it makes sense to do some serious digging so that you can be sure you are making a best choice. Half of the people who buy an RV actually end up regretting their purchase. They often felt afterwards that either they didn’t buy the right vehicle or that they could have got a better vehicle for the same money somewhere else. So look at the pointers below to make sure you get the best deal. Make sure to read through all the tips In order to NOT get ripped off. when is the best time to buy a travel trailer? This is something that people often do not give enough thought to. But certain times of the year are far better than others in term of getting the best possible price. The worst thing you can do is go out and buy something on the spur of the moment as soon as the sun comes out. An RV just isn’t that kind of purchase. It’s for the long term and it is well worth doing some long term planning to make sure you get it right. RV shows are also a great place to look. These happen across the country all through the year and these can be a good place to find a bargain. Dealers are keen to sell at shows. It costs a lot to hire and man a stand at these events and that is on top of the costs of transporting trailers to and from the show. The more they sell the fewer they need to haul back across the country. You are actually saving them money by taking a trailer off their hands. So try to make sure that some of that saving ends up in your wallet. Winter might not seem like the time you would even be thinking about buying a trailer but that is exactly the reason that it is probably one of the best times. Sales are pretty slow in winter so you will find it much easier to strike a bargain with the dealer. Also your dealership will probably be pretty quiet so you might find the sales staff more helpful and willing to take a bit of time to answer all your questions. As well as offering a better price they might well throw in some extras to seal the deal. You will find that shopping for a trailer in winter is a very different experience from buying one in summer. Another key time-frame to consider is when a new model is about to be released. Keep your eye on manufacturers’ websites as you might find that a “new” vehicle in the “old” model will set you back considerably less than the same one would have a few months back. Because back then it was still the latest model. If you are looking to buy second hand you might find that early spring is a good time to look. It’s the time when most owners are thinking about upgrading and in order to fund their new purchase they need to sell the old one. Because that is a fairly common pattern a lot of quality second hand trailers hit the market at that time of year. And as we know the laws of supply and demands means that this will tend to push prices down. Good news for buyers – though not so good when you come to sell it on after a few years. When you do start looking seriously make sure than any advice you get is independent and objective. The salesman at the dealership might seem like the obvious person to advise you because he will probably sound quite knowledgeable about the product. But remember his priority is to sell and probably to sell you the most expensive vehicle he can – with all the trimming. Remember that his income may well depend on the commissions he receives from sales. Before you even set foot in the sales office make sure you have a crystal clear picture of exactly what your needs are, and what you budget is. Assuming that you have done enough research beforehand to ensure that what you’re asking for is realistic, if you find that they don’t to have what you are looking for, or if they just seem determined to try to sell you something different from what you want, then feel free to turn and go somewhere else. Purchase From A Manufacture Or Dealer? Sometimes people will recommend buying direct from the manufacturers. This option might sound good because by cutting out the middle man you are cutting out the middle man’s profit. You might expect to get a better deal. While sometimes you might be lucky you might get just as good a price or even better by comparing a few different dealers and seeing what they are willing to offer. At the same time you need to be realistic or you will never find what you want. If you want a top end model with a few of life’s luxuries to enhance your road trip experience you will have to pay more. Or if your budget is lower, be prepared to do without out some of these extras. It’s really all about priorities. If for example you don’t care about upholstery and fancy finishes, then don’t pay out extra money for them. Another way buyers are sometimes pressured into buying something that isn’t quite right is that their local dealer says they will only service the van if you buy it from them. But really is this going to be such a problem? You’re buying your van for travelling. Some people are out on the road practically full time. Do you think they go home to their local dealer when your best trailer tires needs serviced. No of course not. They just find a professional service center wherever they happen to be. So don’t feel tied to a particular dealer for servicing and maintenance. And make sure you are not rushed into making a snap decision. A good dealer will give you the chance to do a full walk through so you can get a good feel for what you are buying. Use this opportunity to check that everything seems in order. Make sure it is really what you are looking for. It’s also a chance to ask the dealer any questions you might have about what you see. The important thing here is to take your time. If the dealer is confident that his product is good and what you really want that he will assume that the more you see the more you will like it. If he seems to be rushing you through and fobbing off your questions be very cautious about paring with your hard earned cash. There are also lots of possible saving and deals around that you can take advantage of. So much depends on which dealer you go to. So as you shop around make sure you check out the same thing with them all. You might find that the dealer will offer you the option of winterizing your travel trailer. This can easily save you more than a 100 dollars a year. It is also good thing to ask about storage to keep your RV roof coating safe. Once again some dealers offer this for free. But not all do, so make sure you ask. Freight fees and processing fees can also add up. Freight fees of $400 and processing fees of around $350 are not unusual. Similarly doc and title fees are another hidden extra that buyer often forgets about. Check all of these details out this out before you settle on a price. Does It Include Sales Tax? There are also some pretty essential pieces of gear you will need which some dealers will supply as standard while others don’t. Some of the best appliances for your RV, which most dealers won’t supply are things like the best RV deep cycle batteries, the best solar kits for RV use, and the best RV surge protectors. Another essential, is A RV hose which is pretty essential but you may find that you have buy your own for the best RV hose.. And don’t forget about the cost of some of the top RV generators. Rarely this might be supplied but it is more likely that you will have to buy it separately. So check out all these little extras to ensure that you have realistic picture of what your outlay is actually going to be. RV rentals, only because you can get a feel for what it actually feels like owning a new/different RV. Not only that, you can rent out other RV classes in order to make sure you’re making the right decision when comes to purchasing an RV. Check out all there awesome RV rentals at there website Outdoorsy.com. So there’s a lot to think about before you buy your dream travel trailer. The key things to keep in mind are that a bit of advance planning and a lot of shopping around and comparing what’s on offer are the best ways to ensure that the van you finally end up with is the right one for you.